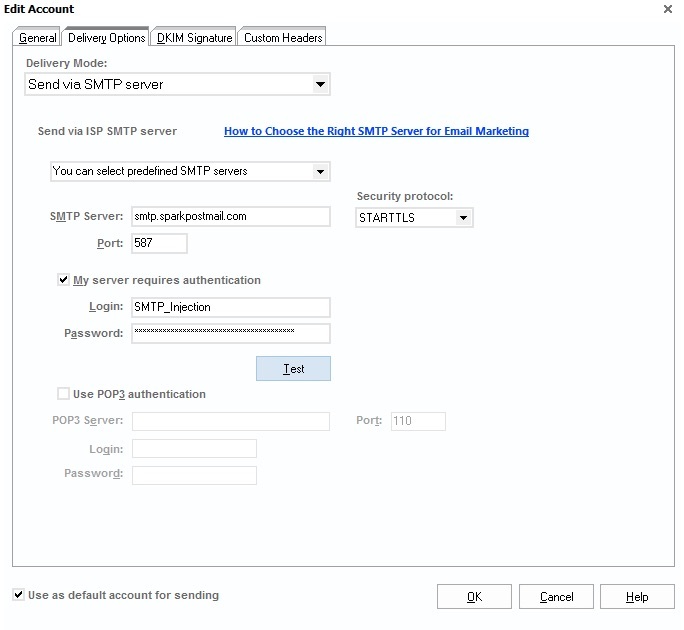 Using SparkPost with G-Lock Software’s EasyMail7 is easy! You can also set up the throttling values based on your SparkPost quota (see your Usage report under your Account settings for your SparkPost hourly and daily quota limits). 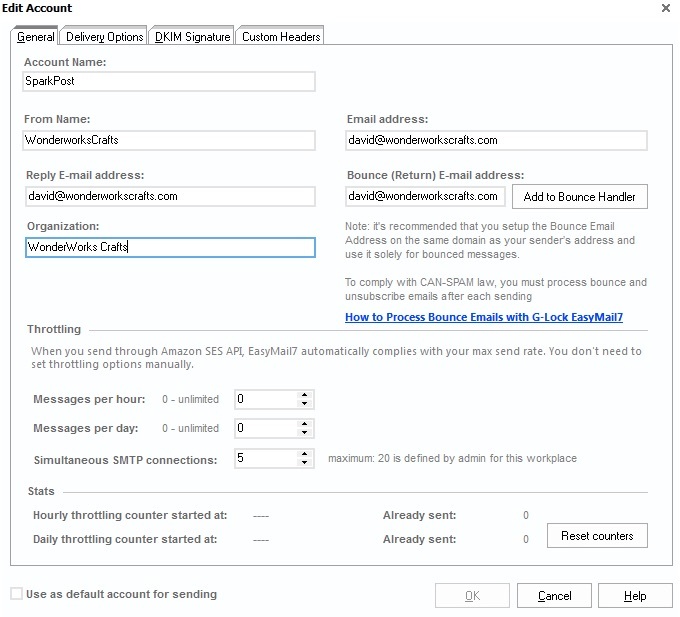 Select ‘Use as default account for sending’ (unless you are using other mail servers as well). Click the ‘Test’ button to send a test message to an email address of your choosing – and you should be good to go!